Rarely do you meet circumstances where Old Masters would be family, but they do exist. An example of such rare find would be the Le Nain brothers: Antoine, Louis, and Mathieu. These three Frenchmen have contributed much to French painting using the traditions of Netherlandish Renaissance art. Netherlandish Renaissance art refers to the age where many advancements in fine art occurred in the Netherland region, particularly in Holland. 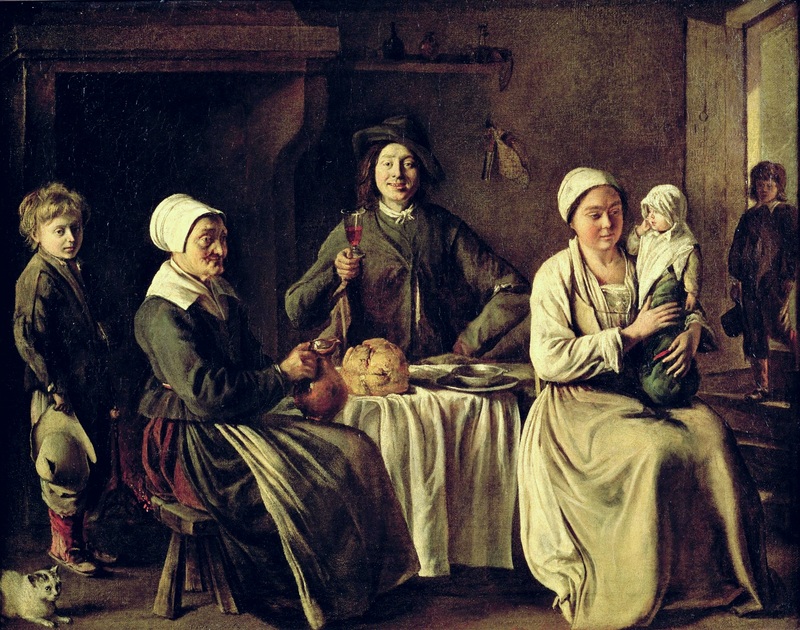 The Dutch Realism genre, for example, is a product of Netherlandish Renaissance. 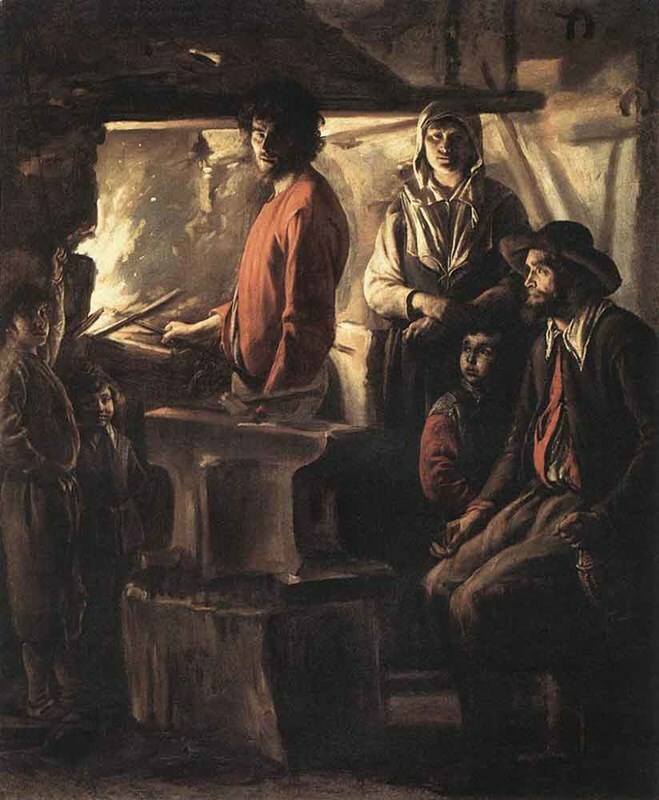 The three brothers specialized in portrait art and genre painting, and their usual subject is the peasant’s life: farms, markets, smithies, and artisans. Their chosen subjects are not too all that surprising: the three brothers were born into a family of farm workers: Mathieu in 1607, Louis in 1600, and Antoine in 1599. Their father, however, wasn’t a peasant at all and but a worker in a local salt depot. In fact, they’re very well-to-do, owning several houses and territories. And so the three brothers grew up without worry, but not far from the peasant life that they never actually had. They took up painting, and for a year, they were taught by an artist, then they moved to Paris to continue their study. There they moved to St Germain-des-Pres and lived in the Rue Princesse in 1629. Their reputation quickly rose in Paris. Receiving and delivering commissions at first, they were able to receive commissions from very important people, such as the city’s municipal magistrates. Antoine is a master painter in St Germain and Mathieu became an official painter for Paris, and then eventually, to the King. They also accepted church work, such as decorating chapels and creating altarpieces. Success at every turn, they were even admitted to the French Royal Academy. But fate played a cruel hand and took away the lives of Mathieu’s brothers, leaving him as the sole survivor of the three. No one alive now could really tell what’s going on inside Mathieu’s mind now that he lost his two brothers. He’s alone, rich, but very alone. He sought to be part of high society but the fact that he’s a painter and a commoner kept getting in the way. He continued to paint but eventually, he stopped. In 1662 he received the Order of St Michel. His final works include “the Martyrdom of Saints Crispin and Crispian” and the “Portrait of Mazarin.” He never made an effort to keep the memory of his brothers alive and on April 20, 1677, he himself finally died. They lived together in harmony, all three of them, and there was no account that they had any lasting quarrels so it was very puzzling for Mathieu to actually want to forget his life as a commoner and the memories of his two brothers. One can only guess what happened: on that fateful May in 1648 when he lost his two brothers, Mathieu Le Nain’s life fell apart. Three people with the same style, living together so closely, their art so similar, but unique to only the three of them that you can tell their style apart from the others’, often even collaborating in the same work. This is the dilemma scholars had with the three Le Nains for years because the brothers never signed their paintings before, and when they do they just sign it “Le Nain”. Historians made an effort into gathering the little evidence that remained of them but eventually, they stopped trying to identify whose work is whom and treat each work as if it was done by a single artist. Most of the sources are of dubious origins. But of all the works that were attributed to the brothers, none were more important than their peasant life works.